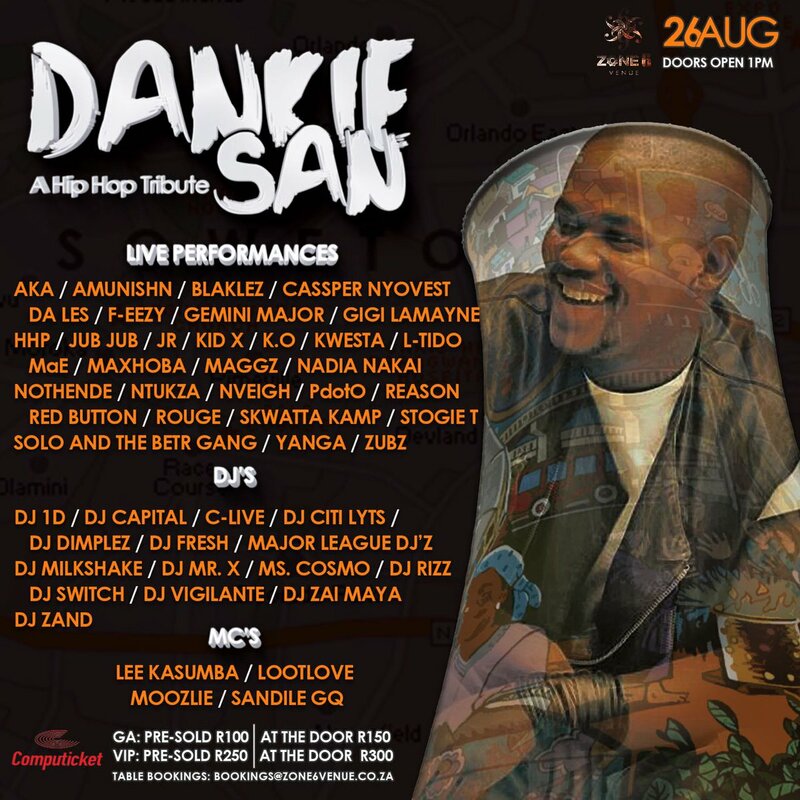 On the 26th August the South African Hip-Hop community will come together at Zone 6 venue in Diepkloof, Soweto to honour and celebrate the late Linda ‘PRO’ Mkhize in a tribute concert including the best of South Africa’s hip hop artists and DJ’s. The line-up will include AKA, HHP, Kwesta, Cassper Nyovest, K.O., Gigi LaMayne, Reason, Skwatta Kamp, Da Les, Stogie-T, Amunishn, L-Tido, Rouge, JR, Nadia Nakai, Jub Jub, Kid-X, Ma-E, Blaklez, Red Button, Yanga, Zubz, Ntukza, P Dot O, Nveigh, Solo and the BETR gang, Nothende, Max-Hoba and F-Eezy. DJ line-up includes Citi Lyts, DJ Fresh, Vigilante, Major League DJs, DJ Dimplez, DJ Capital, DJ Switch, P Kuttah, C-live, DJ 1D, DJ Milkshake, Ms Cosmo, P-Kuttah, DJ Mr X, DJ ZanD , DJ Rizz and DJ Zai Maya.